all MOMENTS stop here and together we become every memory that has ever been. Spanning a broad array of material practices and media, Ugo Rondinone’s works are often unsettling and deal with themes of isolation and disenchantment. At once distinct and interrelated, the works installed in this room cross-pollinate, shaping a single narrative. The looped conversation of the wall and sound installation ‘what do you want?’ suggests a relationship permeated with miscommunication, doubt and loneliness. Coupled with this soundtrack, the reclining clown in ‘if there were anywhere but desert. Wednesday’ appears bored and disaffected. 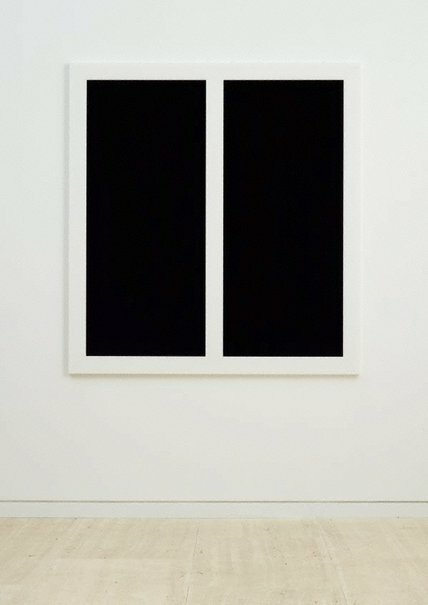 In a similar vein of inversion and directionlessness, ‘all MOMENTS stop here and together we become every memory that has ever been.’ resembles a window, yet rather than opening onto a view, it reflects the interior space back onto itself in sombre black tones. Ugo Rondinone: Clockwork for Oracle , Melbourne, 2004.